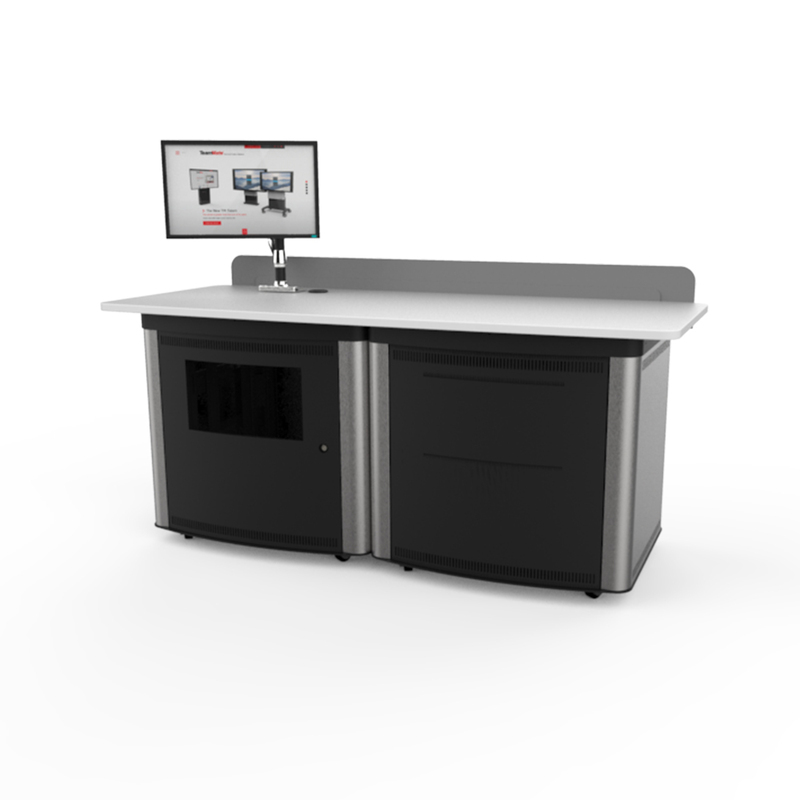 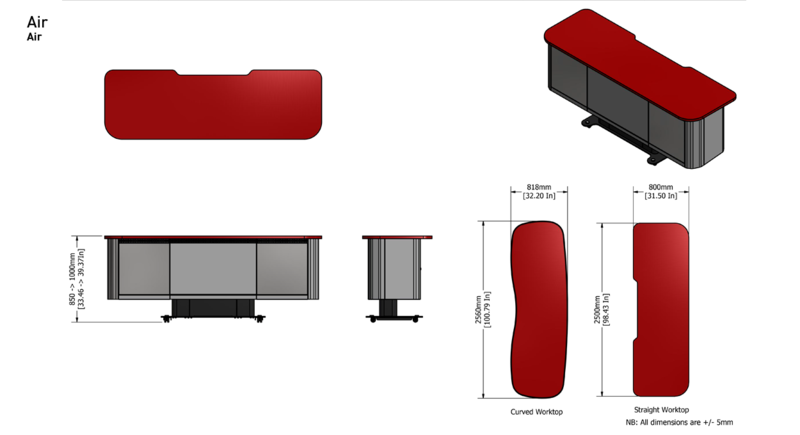 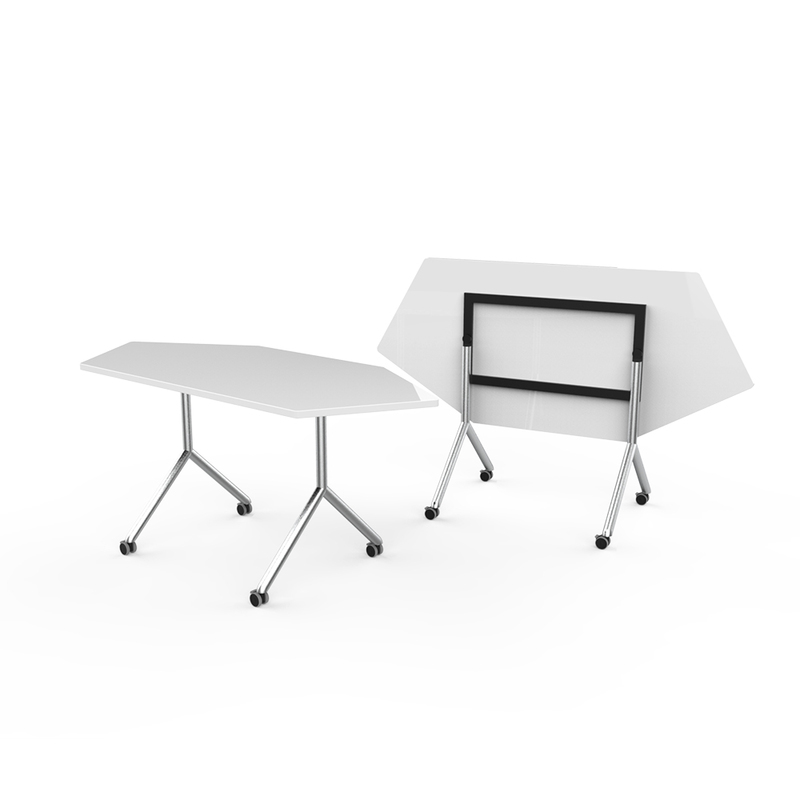 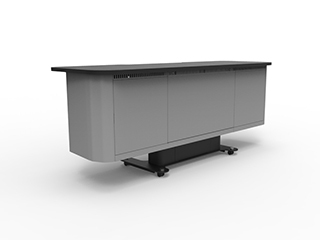 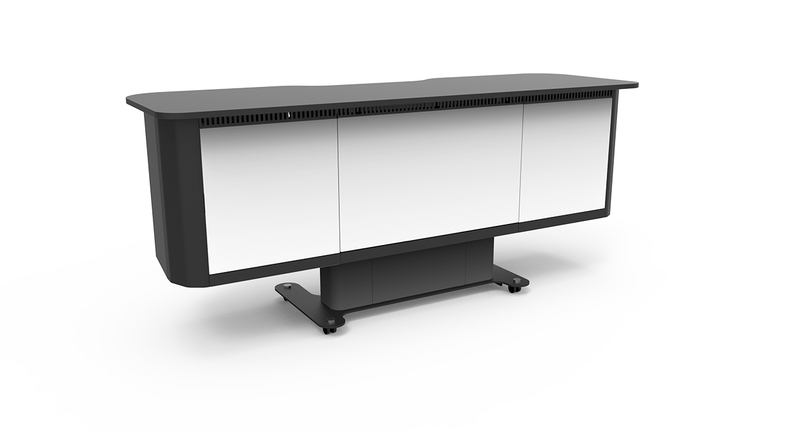 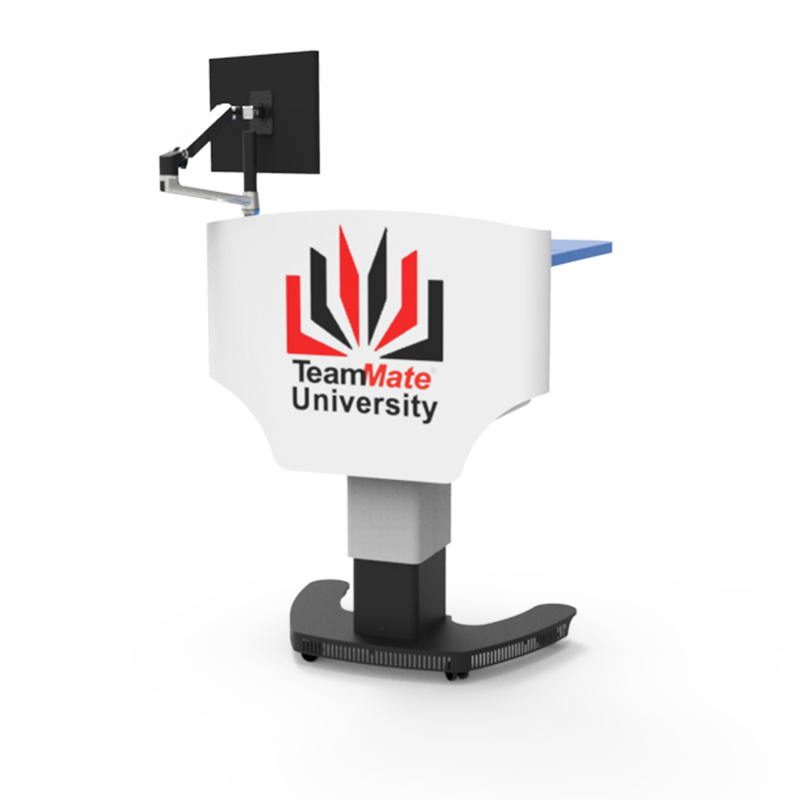 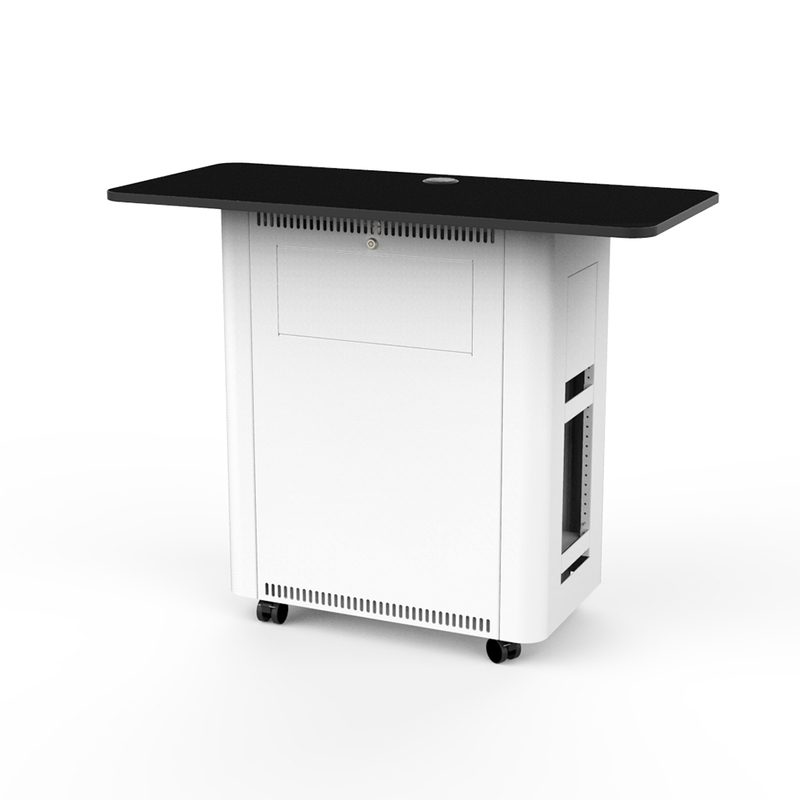 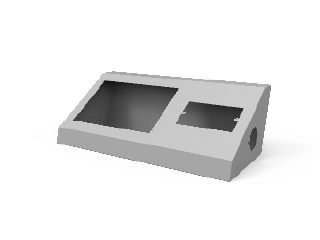 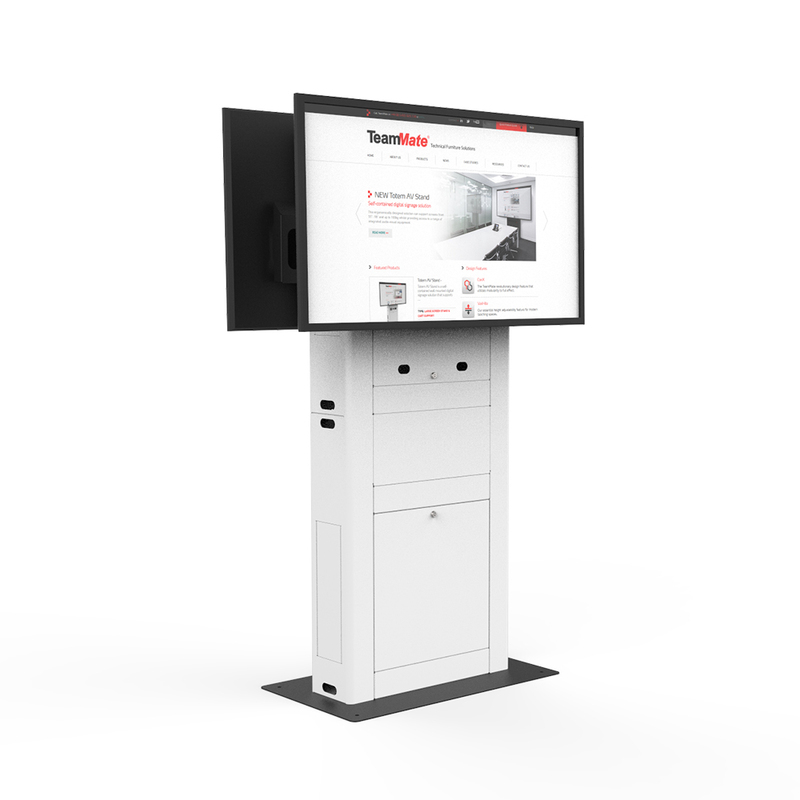 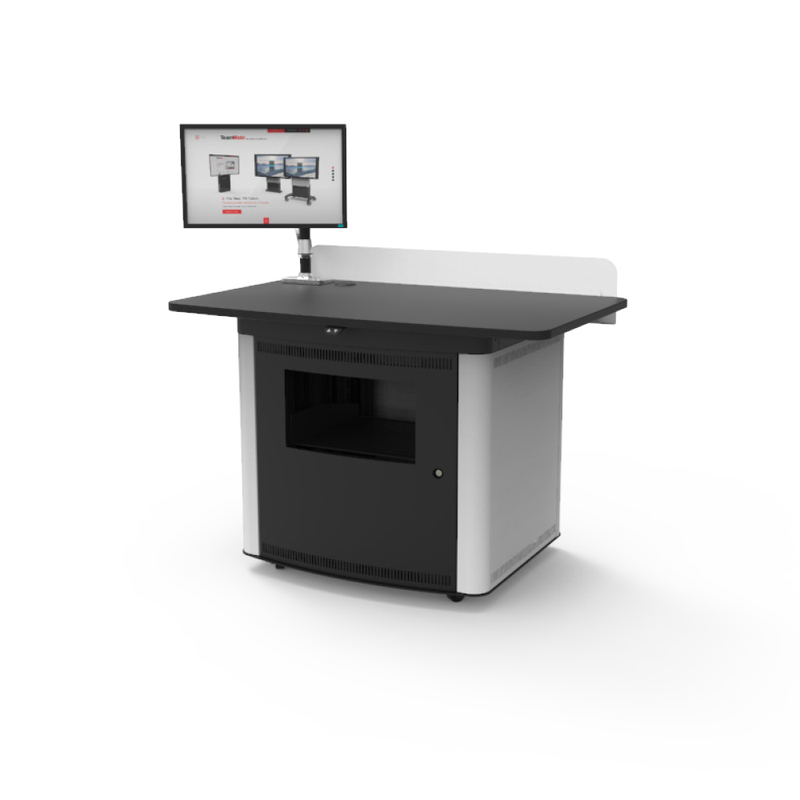 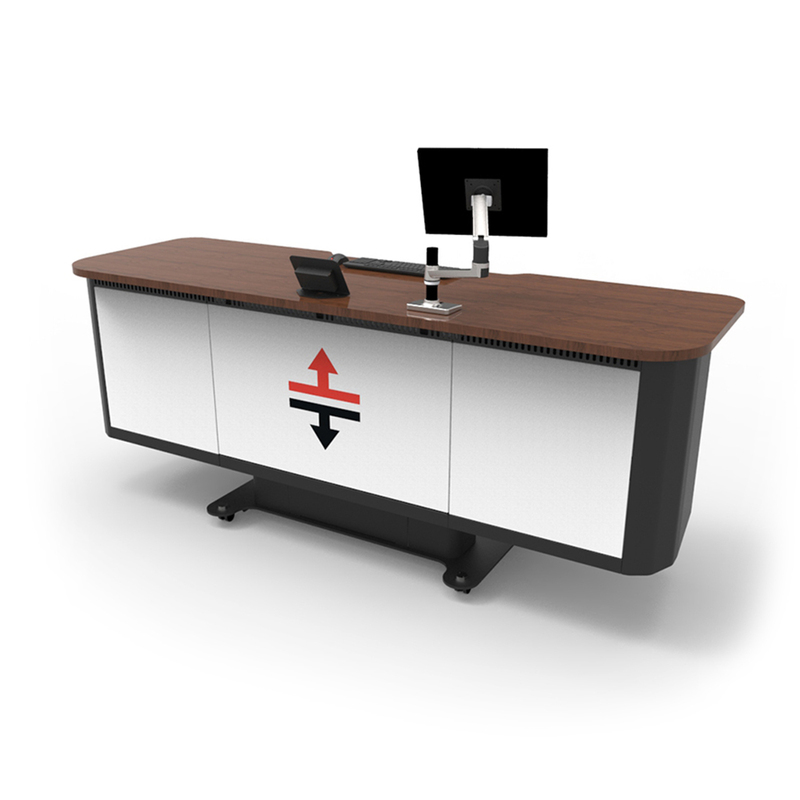 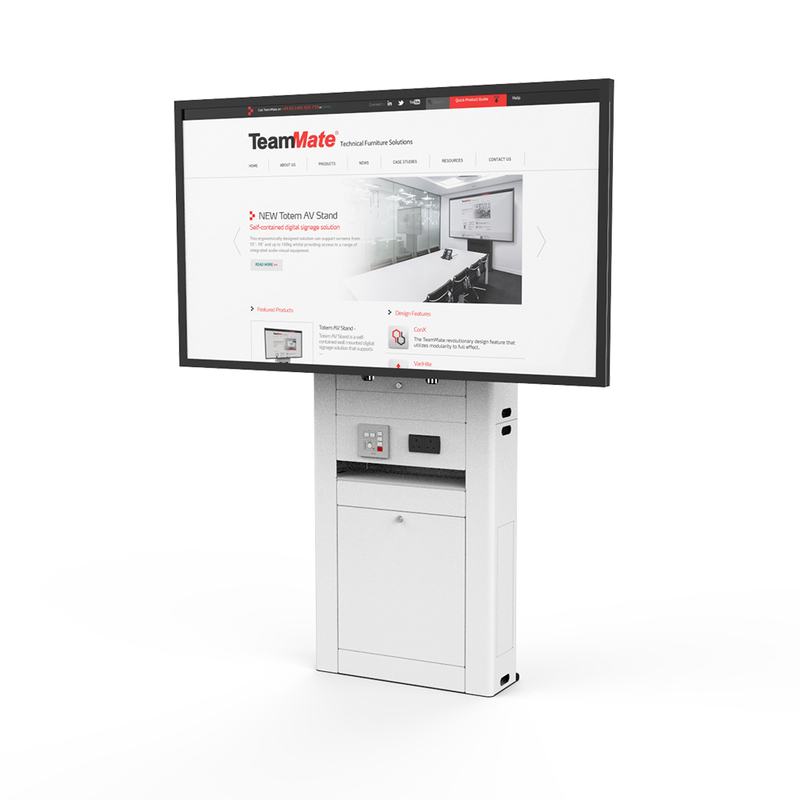 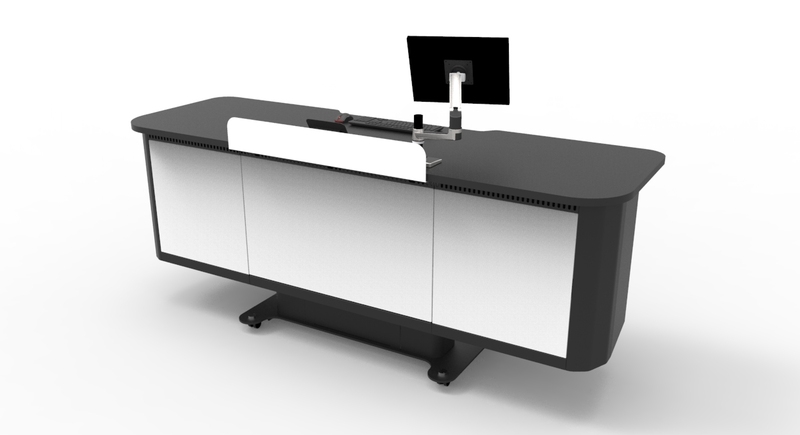 The Air is a fully height adjustable flagship podium within the TeamMate lectern range. 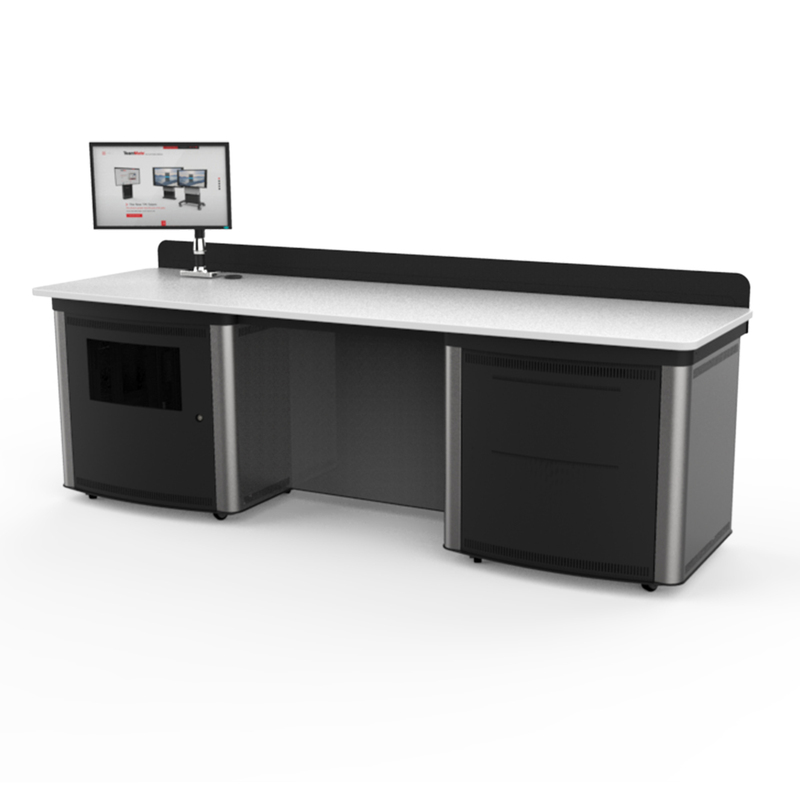 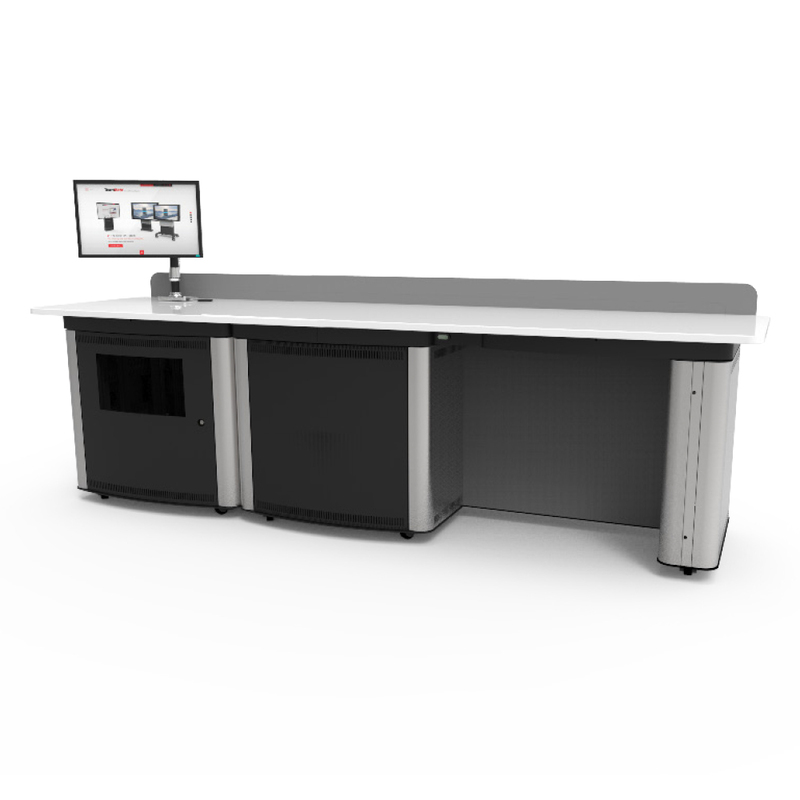 With 27U of usable equipment space and a larger 2500mm worktop, the Air has an abundance of space for equipment and worktop peripherals. 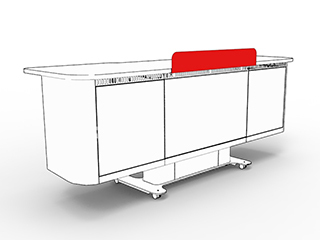 Customise the Air’s appearance through a choice of worktop and panel finishes; from wood panels to painted finishes. 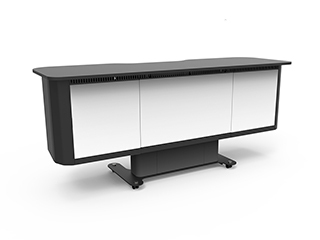 Air can be tailored to suit any rooms architectural requirements through its extensive customisable options. 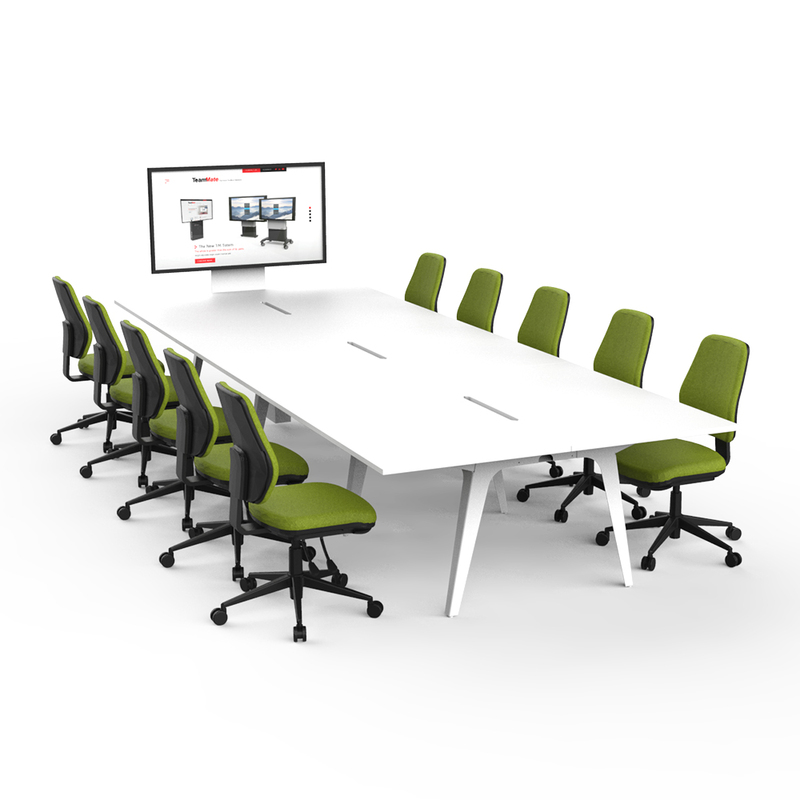 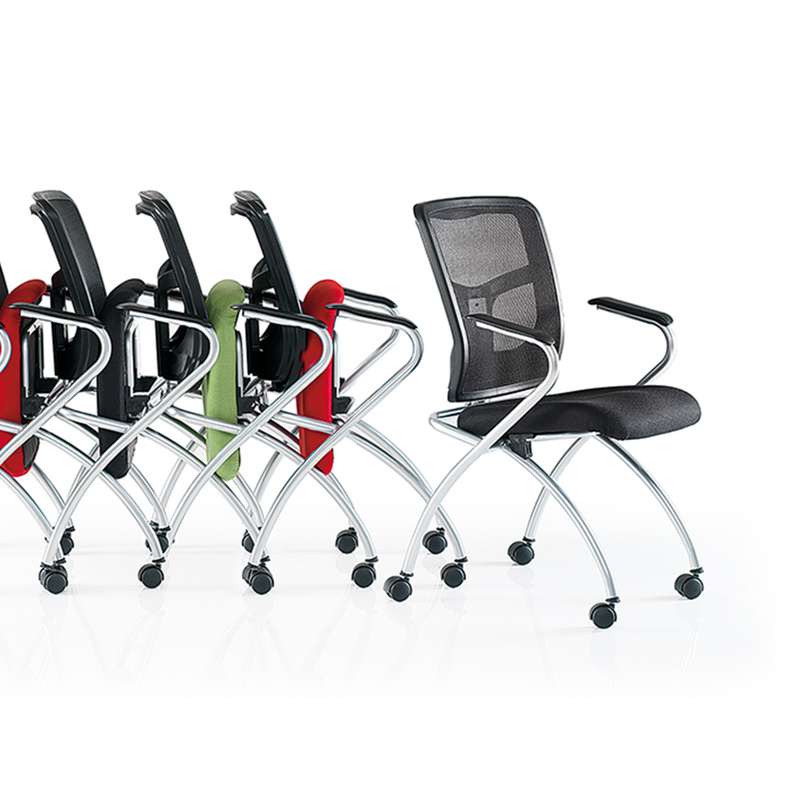 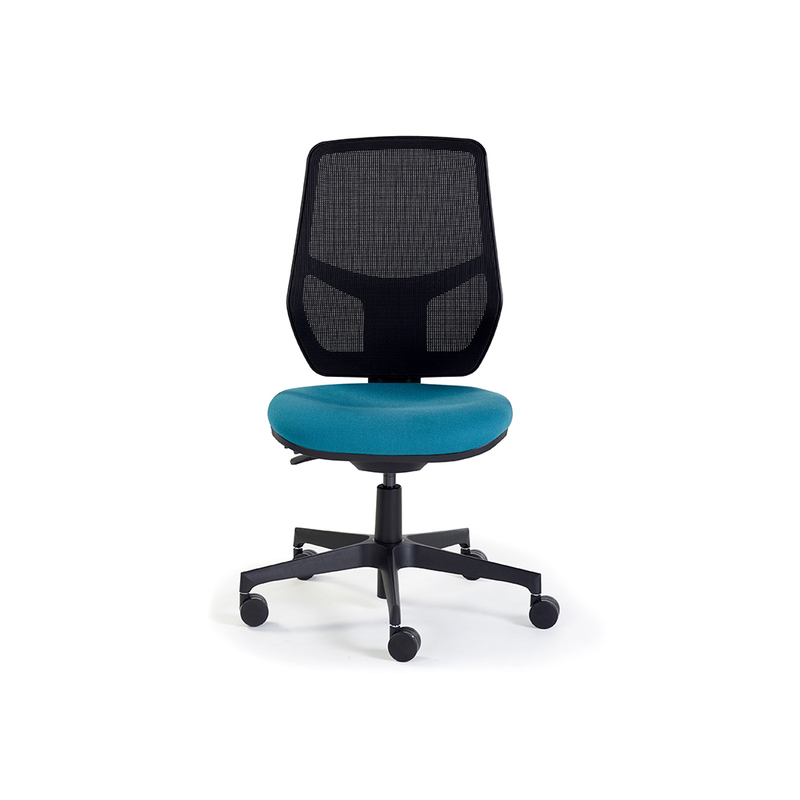 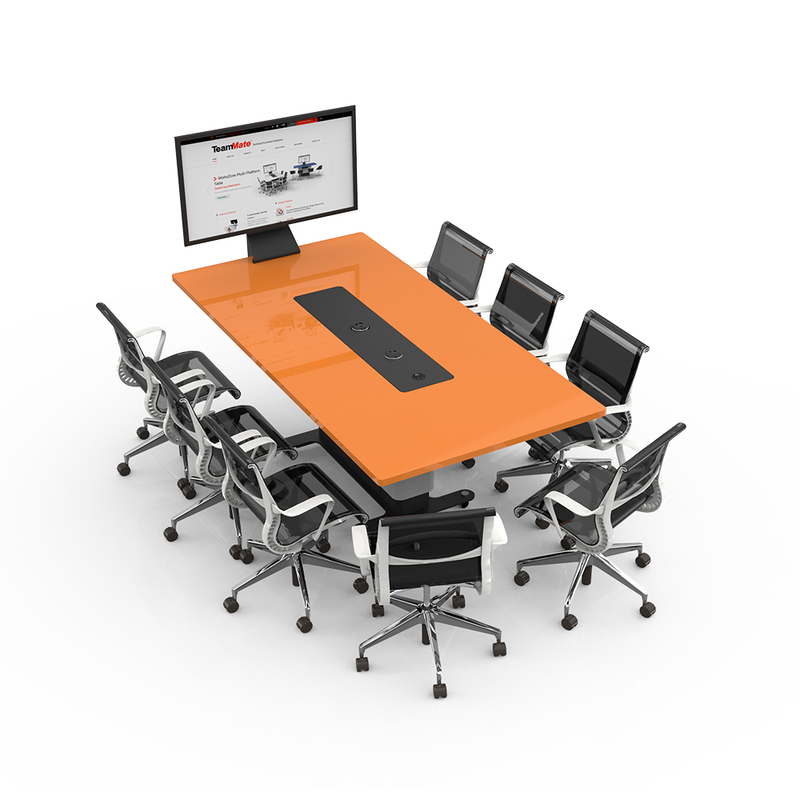 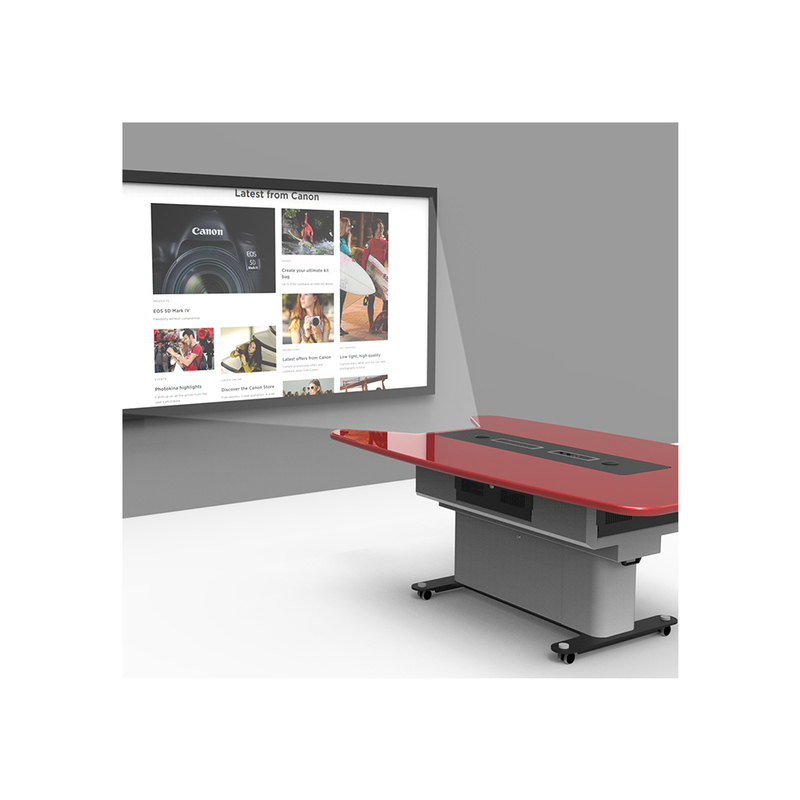 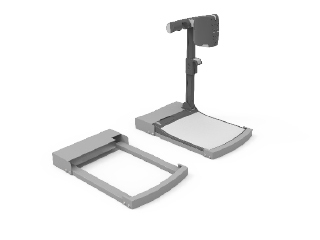 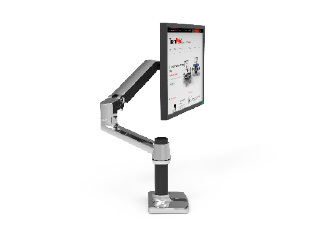 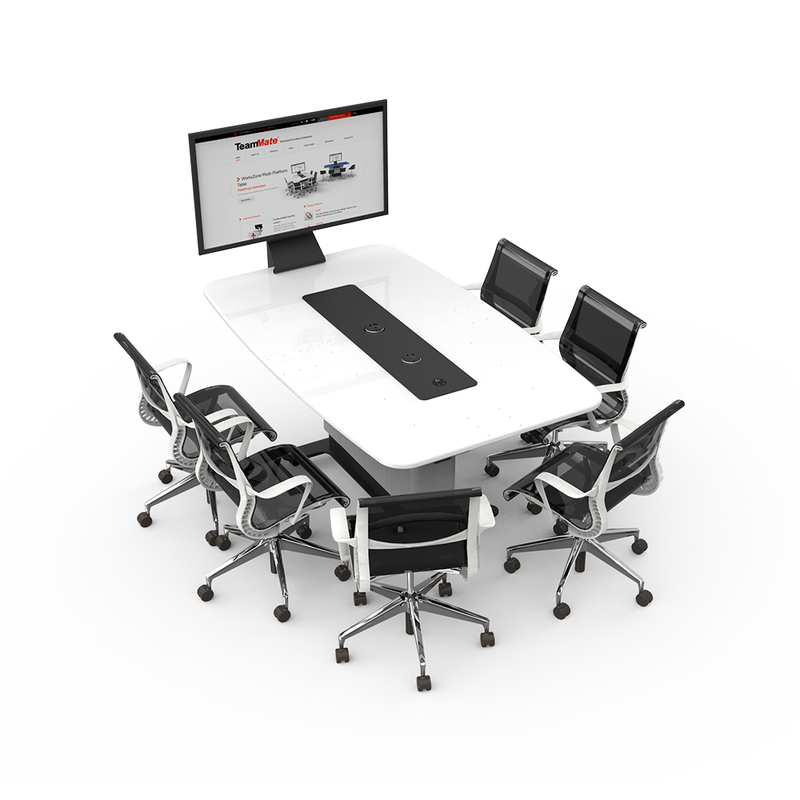 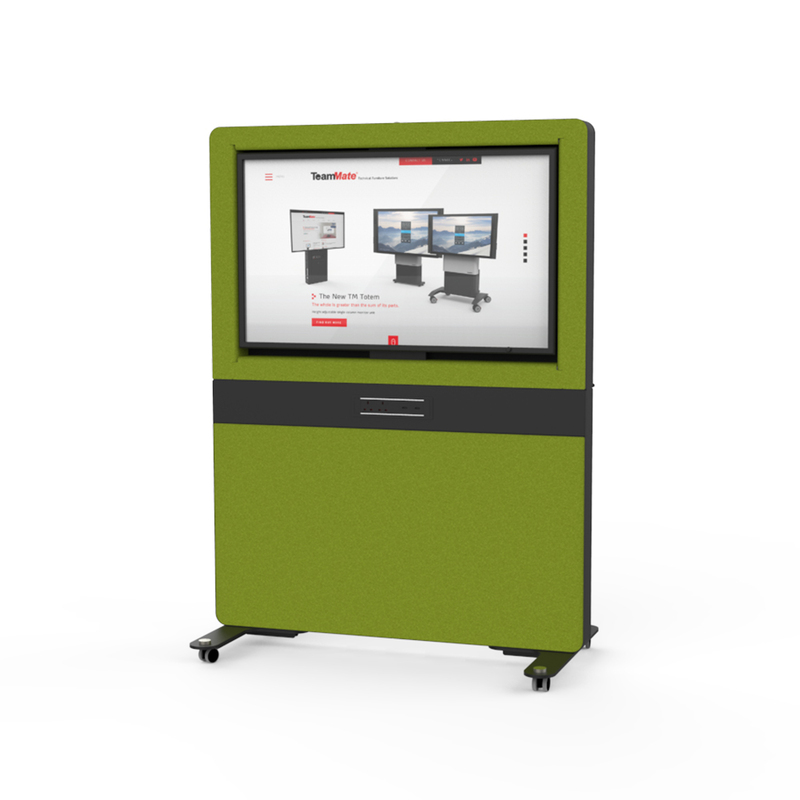 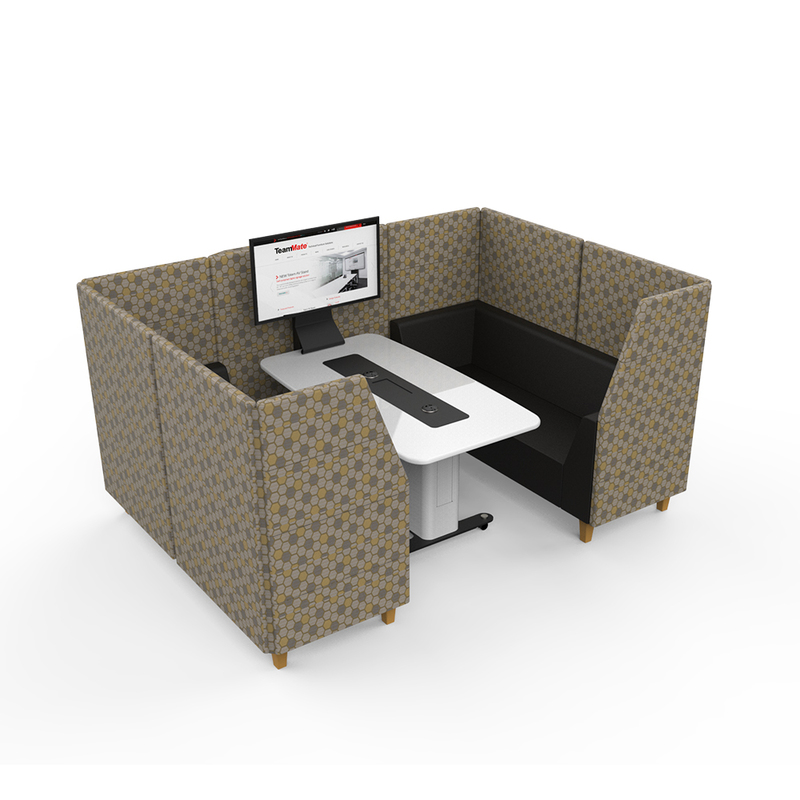 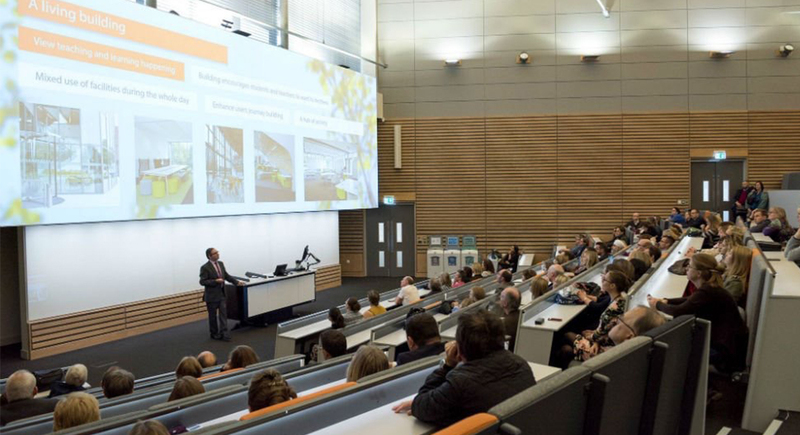 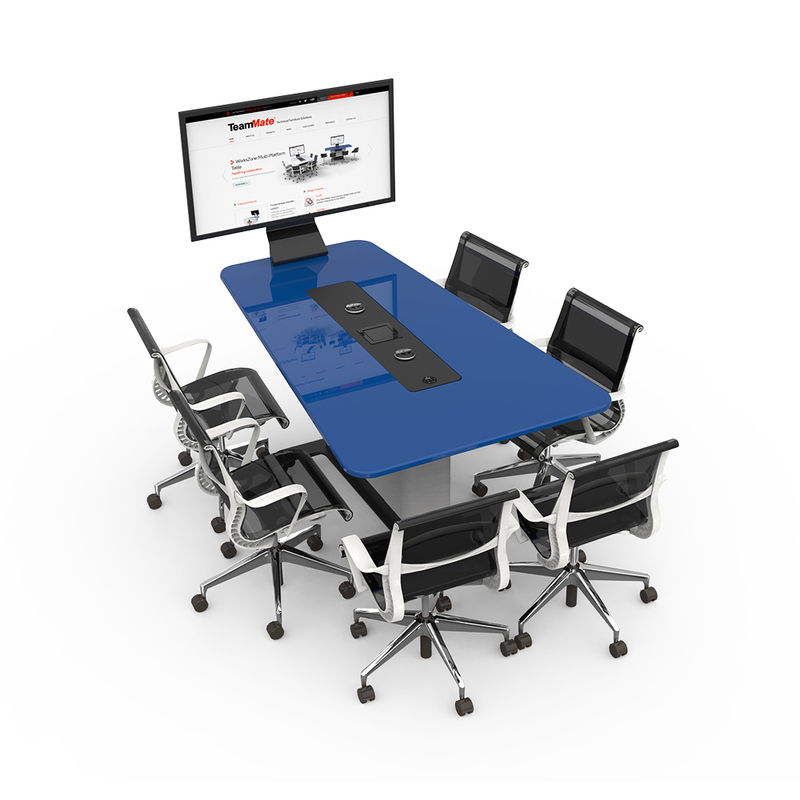 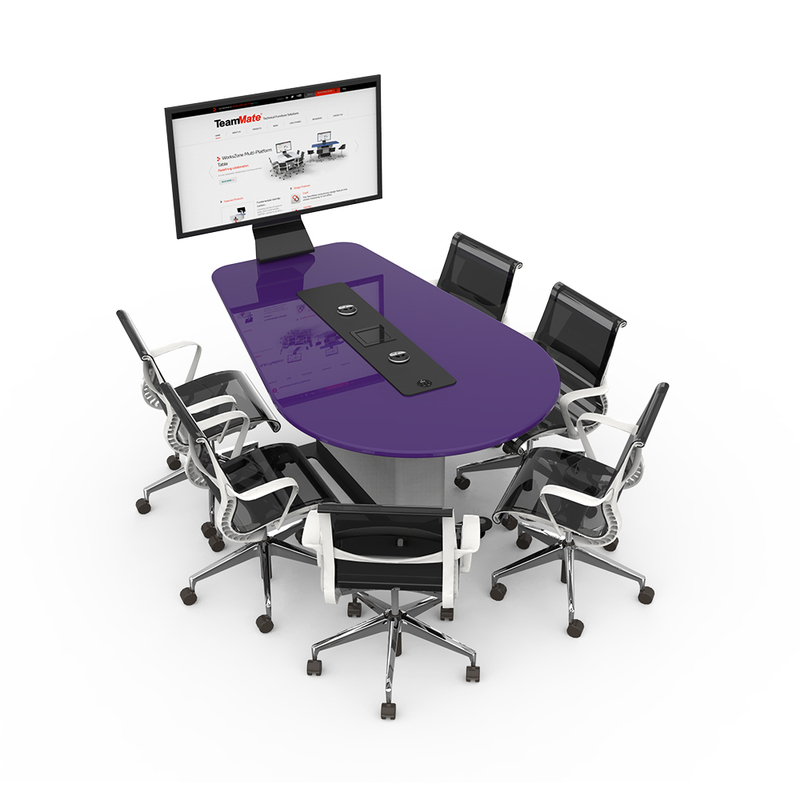 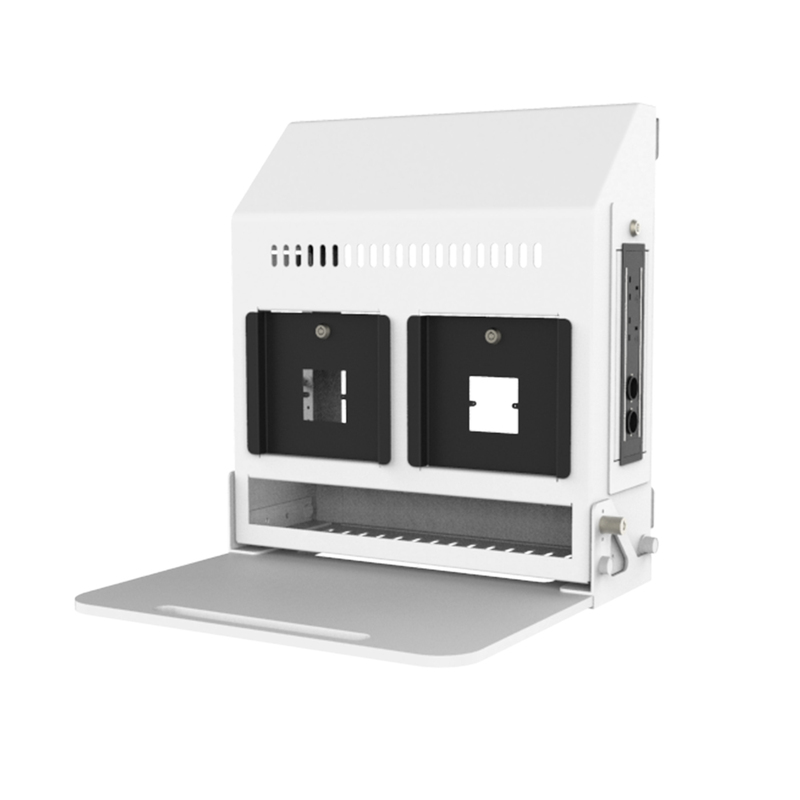 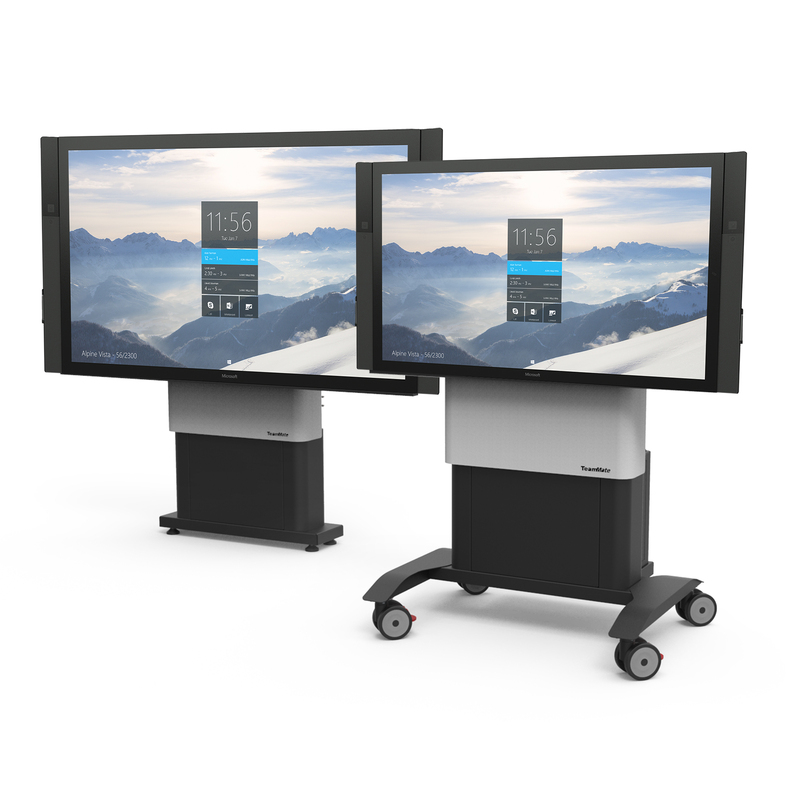 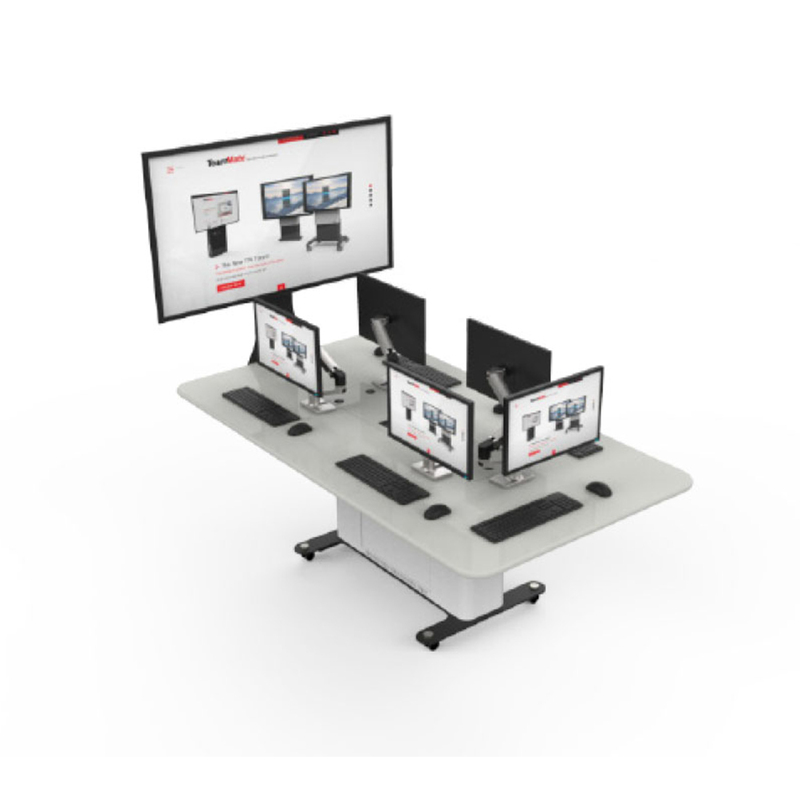 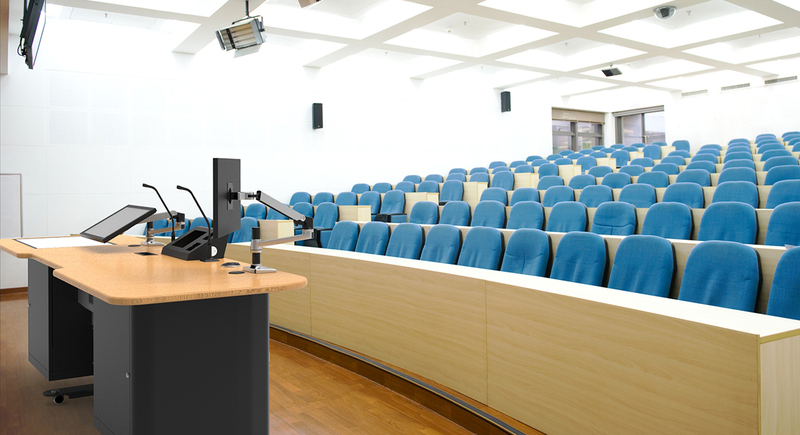 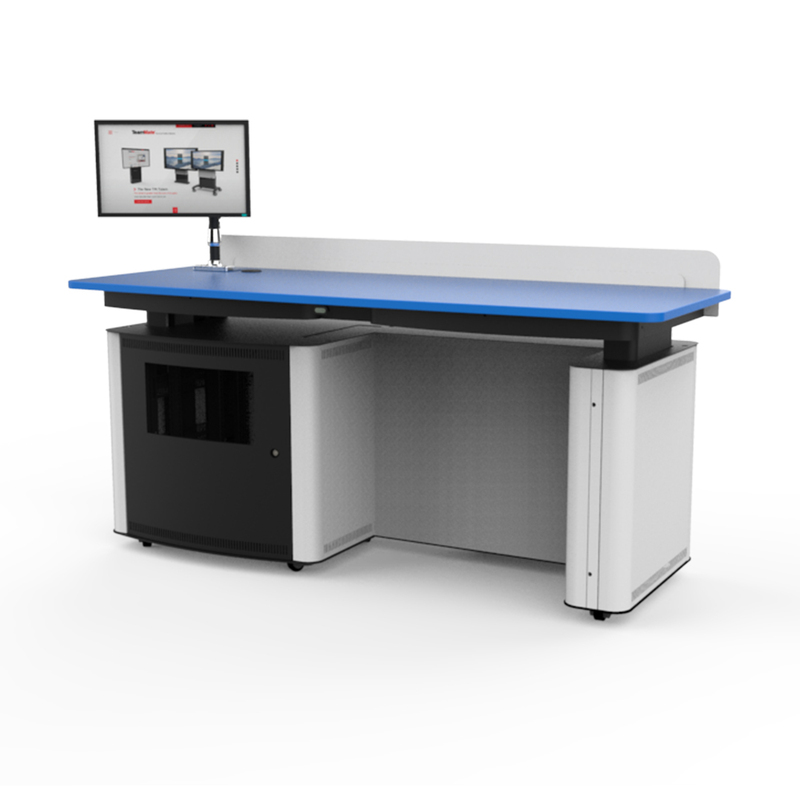 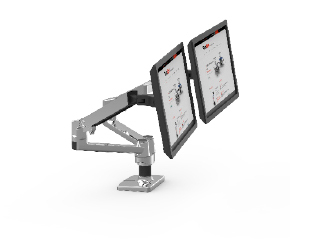 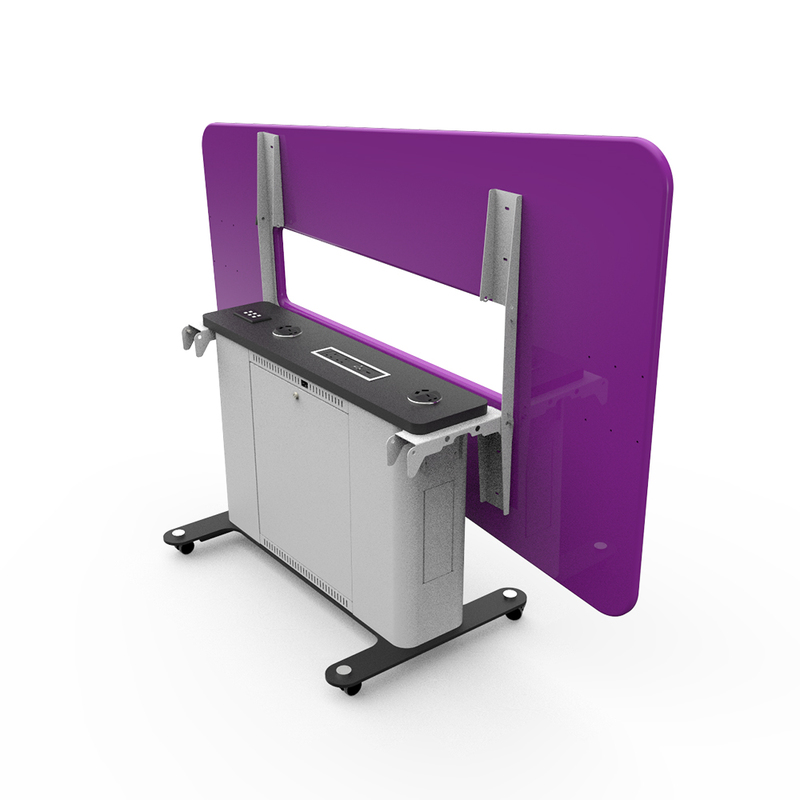 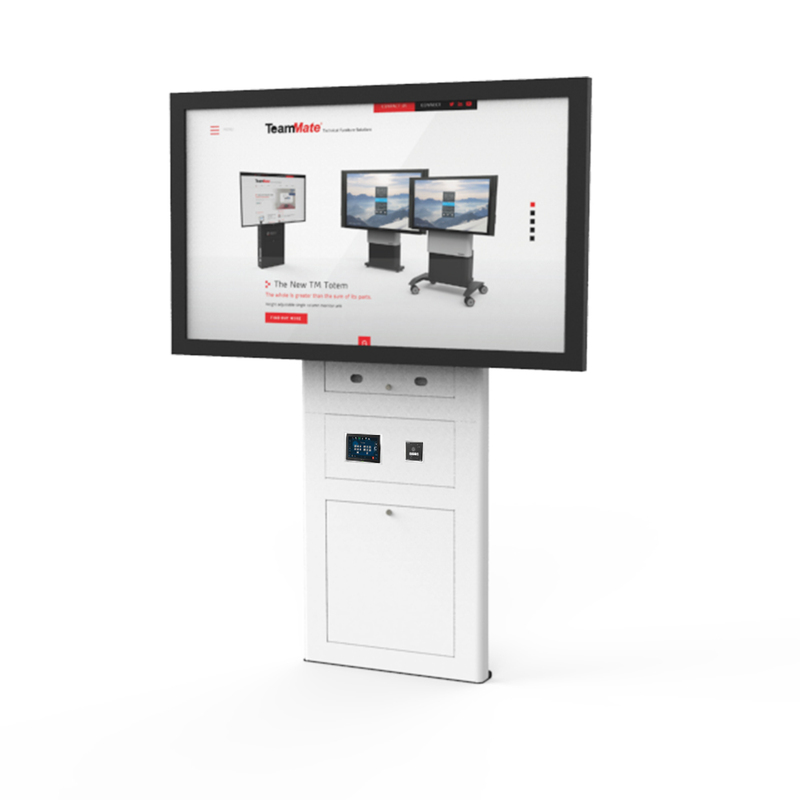 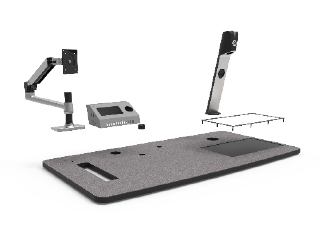 Users can switch seamlessly to present from a seated to a standing position with the Air’s robust VariHite capability.